"The Dingwall basses are definitely the greatest basses I've ever played. The sound and specially the B strings are totally incredible ! I can use it in all situations (stage, recording studio) and for all styles of music (from progressive rock to jazz fusion, blues, funk, etc...). The sound is always perfect and well balanced. The other aspect I particularly like on this basses is all the good ideas that Sheldon introduces : from the bridge to the Neutrick locking jack, from the 4 position rotary selector to the first "easy to use" battery cover ! I'm really enthusiastic to play this basses and I'm incredibly proud to be endorsed by Dingwall." Bertrand Allaume is a french bass player, composer, producer and label manager. Actually, besides his solo projects he works on different musical projects like Beltuner, basT or Ouroub'. Before that he was bass player and / or composer for numerous projects like ElektricGang, ElektricLab, Moïse Melende or Follenzia. He composes music for theater and contemporary dance too. In 2004 he cofounds ICI Label (www.ici-label.com) with Lionel Rivière and Matias Marcipar. He produces dozen of different records for this label and for other musicians and labels. 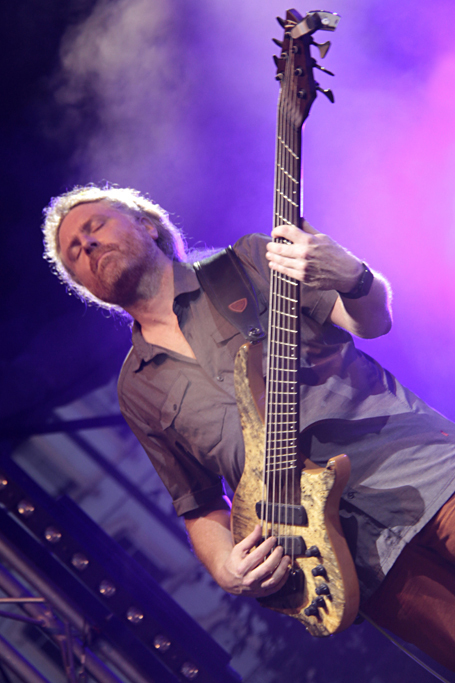 Bertrand Allaume has played Dingwall basses since 2008.